Now a day’s almost every internet user’s access internet through their mobile. But there are not enough sites which are made for mobile devices. 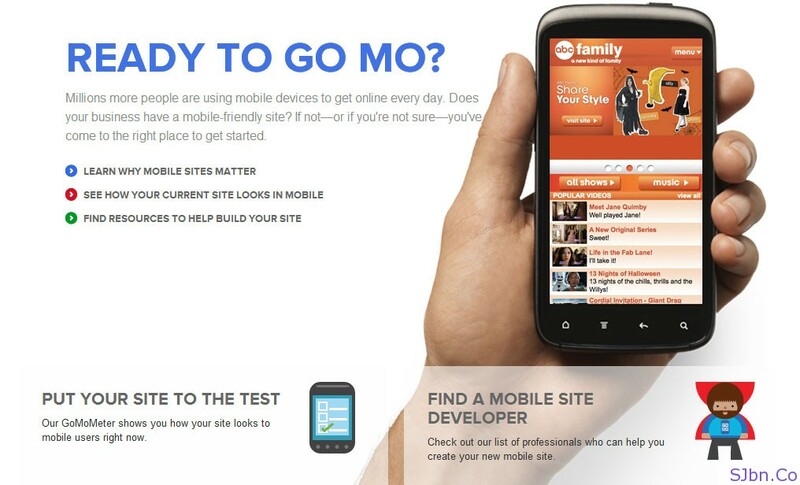 So Google has taken initiative through Go Mo (short form of Go Mobile) to convince webmasters, developers and website owners to build their website mobile-friendly as well. Although if your desktop-optimized website works fine on mobile devices but it won’t be that user-friendly. Because mobile devices have small screens and those desktop-optimized website are not made for small screens and are not made by keeping mobile users in mind. Having a mobile-friendly website can help your business to connect with more customers and drive more conversions. If you don’t provide your users a mobile-friendly website then they might leave your website and some other website. Google provide few vendors name who can build mobile-optimized for you and if you want a DIY then you can choose Google Site Builder from the list to make yourself one. And for those webmasters, developers and website owners who have a mobile-friendly website, Go Mo also provide a tool called Go Mo Meter by which you can check your website how it looks on a smart phone. They will ask you few questions about your website look in smart phone and after answering those questions they will provide you report about your website and a PDF file which will contain some tips which can help you in improving user experience and performance of your website for mobile devices.